Oxford is a magical place. It’s no wonder Lewis Carroll was inspired to write the equally enchanting adventures of Alice in Wonderland here. Here, in a place not more than two short hours from the bustle of London, even the River Thames is quelled by the English countryside’s mystic green. But don’t be mistaken, Oxford isn’t a sleepy green hollow for shisha smoking catapillars. It’s heart beats in synchronicity with London’s as commuter trains connecting the two pump life both in and out. Gaining speed as they rush towards the capital, the trains transform, much like the river, into a proper London rush before turning around to carry escapees to a quieter reality (or wonderland). Oxford’s magic is in its dual identity of countryside haven and bustling academic epicentre. But whether you are a London day-tripper or a resident Oxford student the city provides all the escape you need. A stroll through the university’s Botanical Gardens will inspire your imagination as you gaze at ferne leaves bigger than yourself with stems as round as your whole body — maybe they complied with an “eat me” label at some point too! Continuing your stroll through the city, you will encounter the fantastic architecture of the various Oxford University colleges that stud the city with sculpted wonders and jewel-toned stained glass. Take it all in by climbing the narrow 127 stairs up the Church of St Mary the Virgin’s bell tower where you will be rewarded with a breathtaking panoramic of the spired skyline that inspired Matthew Arnold. 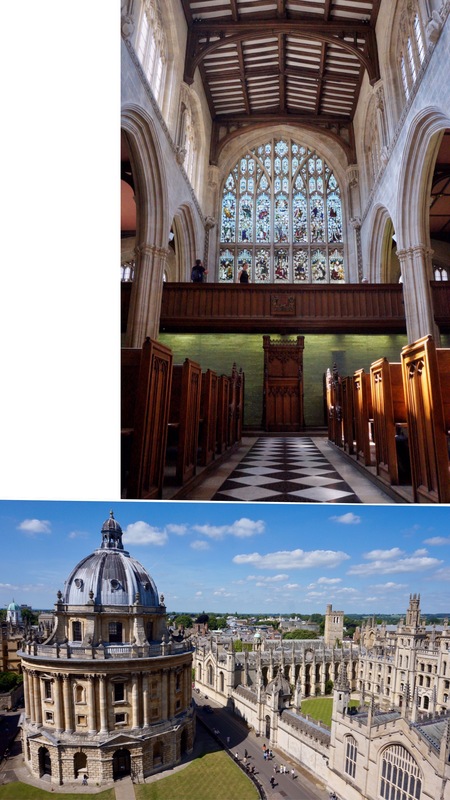 While a walking tour of Oxford University will grant you access to a great many more wonderful places of breathtaking architecture, you will gradually become aware of the secret Oxford not privey to your eyes. 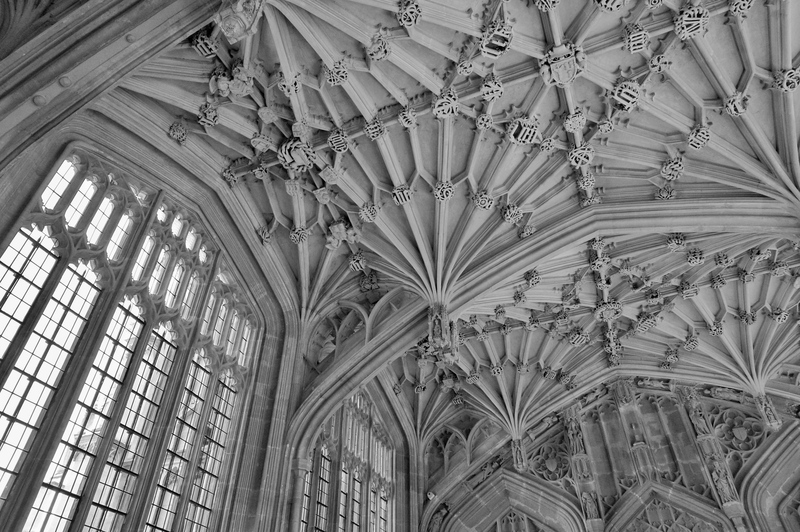 Indeed, the world we see and the world available to resident students are not the same and one can only image what other undiscovered rabit holes there are to explore–like the library beneath Radcliffe Camera. If you are in search of more magic, however, you will be amiss not to visit Alice’s Shop on 83 Aldate’s Street. This adorable cubby was originally the sweets shops frequented by real-life Alice Liddell who inspired Carroll’s books. Today, it tempts its guests with a variety of Alice themed gifts and treats. When you’ve finished emptying your coin purse on mad hatter tea and watercolor postcards of Oxford scapes infused with wonderland residents, you will find Town Hall not far up the road. 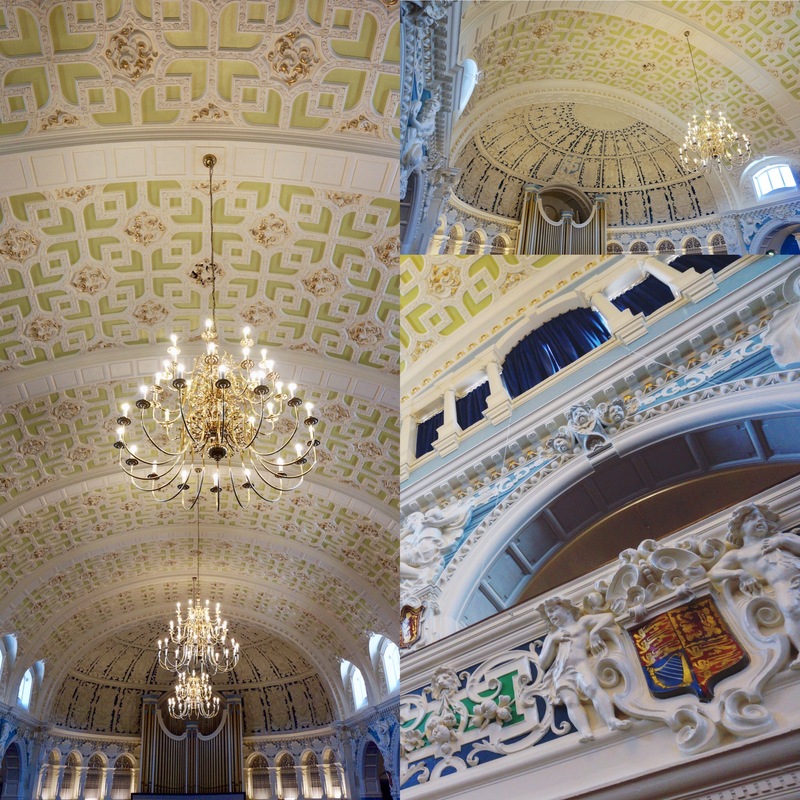 A short climb to the second floor will treat you to the sorbet-coloured views of the Victorian Hall. Of course, there a number of other ways to occupy yourself in Oxford. From the various free museums and libraries to cozy pubs and Harry Potter scene hunting you’ll easily spend a full day entrapped in the city’s enchanting atomsophere. Just don’t be late (much to late!) for your train back to London! Previous PostA Call to Action: Help Shark Conservation. Adopt a Shark.